We heard from the Kitsap Humane Society and have some additional information to share about these two sweetie pies. All our best that these guys find their forever homes! They aren’t available for adoption just yet, we are working on getting them groomed and altered before they will be ready, but it should be within the week. Our behavior trainer was able to work with them, and she feels they are big puppies. They seem like they are social, interested in people, and most likely seem to be dogs that were inside at some point, but probably got too big for their owners and that is when they become “outdoor” dogs. They do have the potential to be destructive if left alone, so we would recommend they are constantly supervised while settling into their new homes. Elmo, the male, seems to be more reserved and a little more nervous than Ernestine, the female, who is curious and interested in just about everything! We do not have a full-time receptionist, so the best way for potential adopters to contact us is through our customer service email at:customerservice@kitsap-humane.org , we typically only respond to urgent/emergency voicemails, so email is the best way to reach us. I would ask that you remove the phone number for that reason if at all possible. 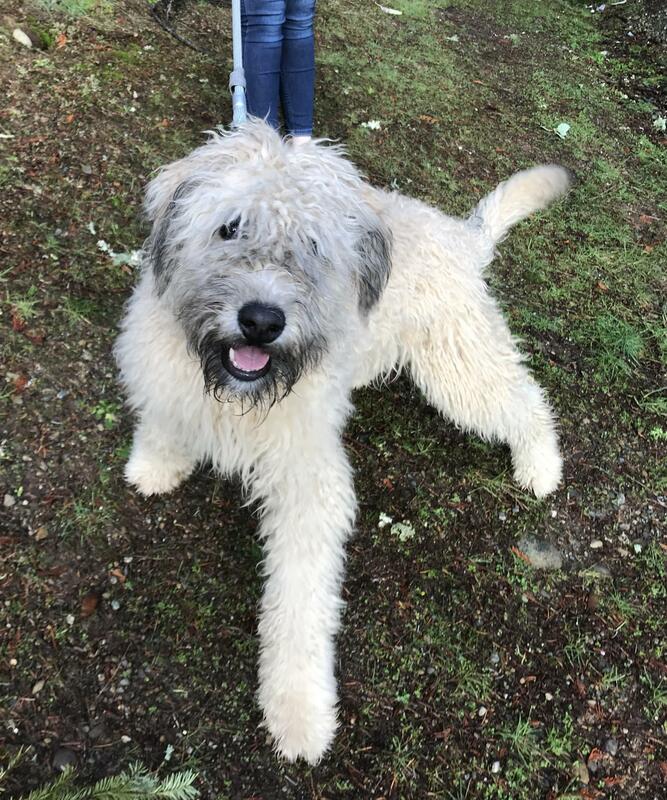 I might also add a link to our adoptable pets page if possible, https://www.kitsap-humane.org/adopt/available-pets/ Since the dogs are not available for adoption just yet, they do not display on our webpage, but once they do become available they will show up on our site. This will be the best way for adopters to know exactly when they are available since we do not have a system or the resources to notify everyone individually. Elmo & Ernestine need a new home! The Kitsap Humane Society has reached out to us for help rehoming these two young dogs. 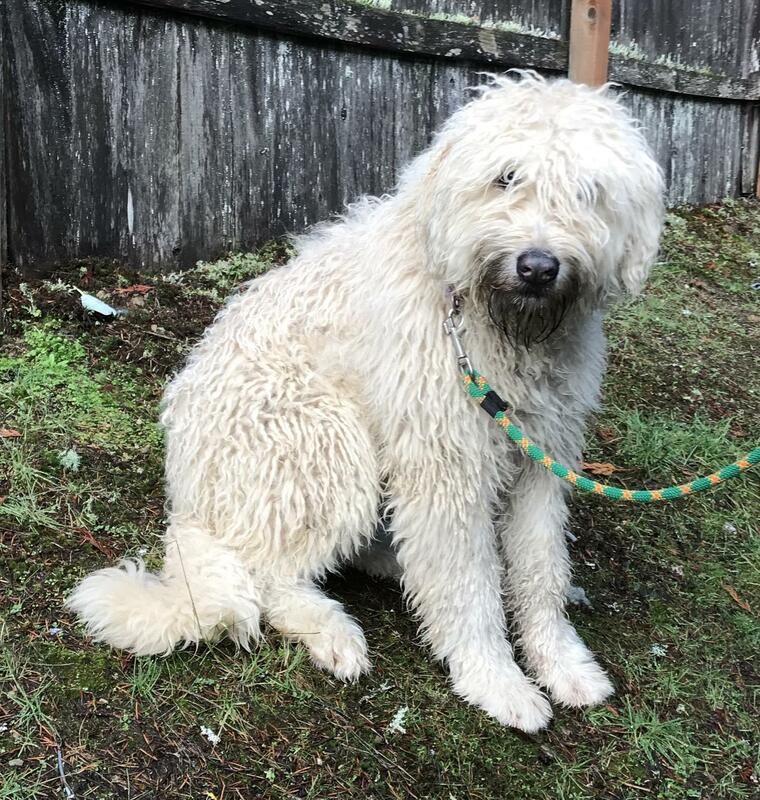 Initially thought to be Old English Sheepdog mixes, we can’t verify this but have offered to help the shelter by posting them here on our website. This sweet pair are young and good with people and other dogs, yet need love and patience to help them with basic manners. The shelter behaviorist is evaluating them to determine if they can thrive if adopted individually. Please contact the shelter directly for more information. Please share this post – we’d love to help find these two their forever home(s)!